Frittate are so versatile and easy to put together. 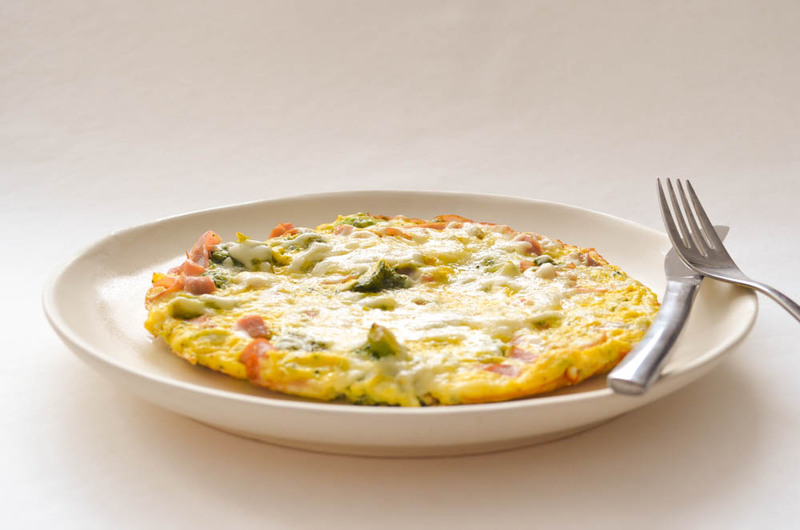 Although I like my French-style omelettes a bit on the runny side, frittate should be set, but still soft and never rubbery. 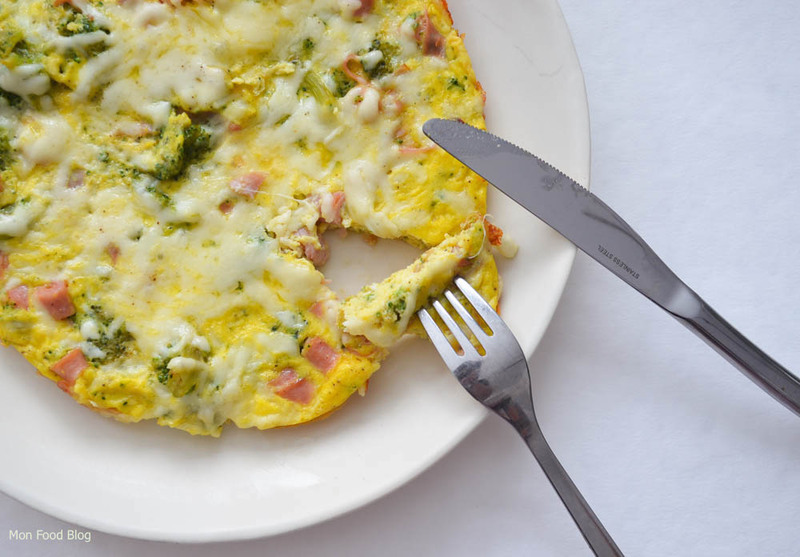 Overcooking your frittata will give unpleasant results. It is my personal preference to cook it very gently on the stove over the lowest heat possible to prevent a crust from forming on the bottom, but if you like crusty eggs, don’t be shy to cook it on a higher heat. Cooking a frittata entirely in the oven does not give great results, and I never do this. 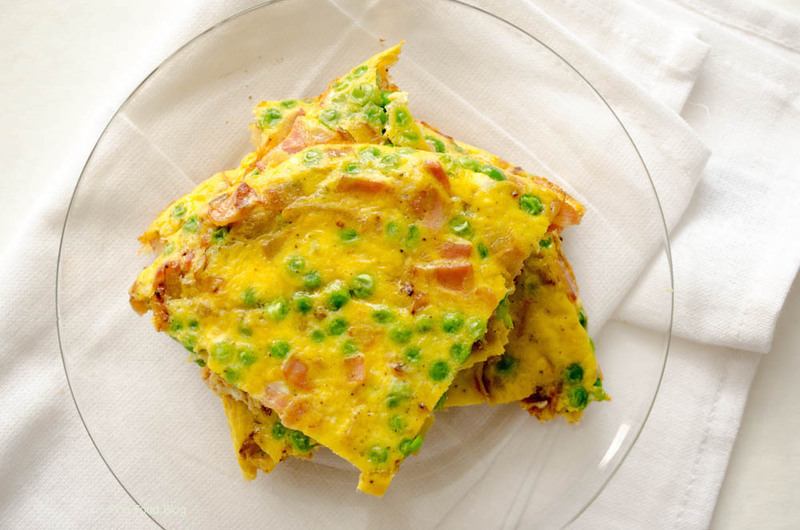 Pancetta, peas and mint is a classic Italian combination and usually served as a side dish. I turned it into a frittata simply because that is about what I had on hand and it turned out great. Remember that pancetta is very salty, and you may not want to add any more salt in the eggs. For the second recipe, I had leftover broccoli salad I made a few days before. The recipe is from Ina Garten and it is always a crowd pleaser at brunch. Here again, there is soy sauce in the recipe, so go easy on salt. 1. In a 9 inch non-stick skillet, cook the shallot and pancetta over medium-low heat until the shallot is soft and the pancetta starts to crisp up, a few minutes. 2. Add the peas and stir to heat them, 30 seconds. Turn the heat to the lowest setting. 3. Beat the eggs in a bowl, add the mint and season with salt and pepper. Add just a bit of water to loosen the eggs. Add the egg mixture to the skillet and cook, leaving it undisturbed, for 5 minutes. 4. Transfer to the oven and cook about 6 inches from the heat source, for about one minute, just to set the top. 5. Let it cool slightly before eating. 1. In a 9 inch non-stick skillet over medium-low heat, cook the ham in the olive oil for a few minutes, just to heat it through. 2. Add the cooked broccoli and heat it trough. Turn the heat to the lowest setting. 3. Whisk the eggs in a bowl with a pinch of salt and pepper and a bit of water to loosen the eggs. 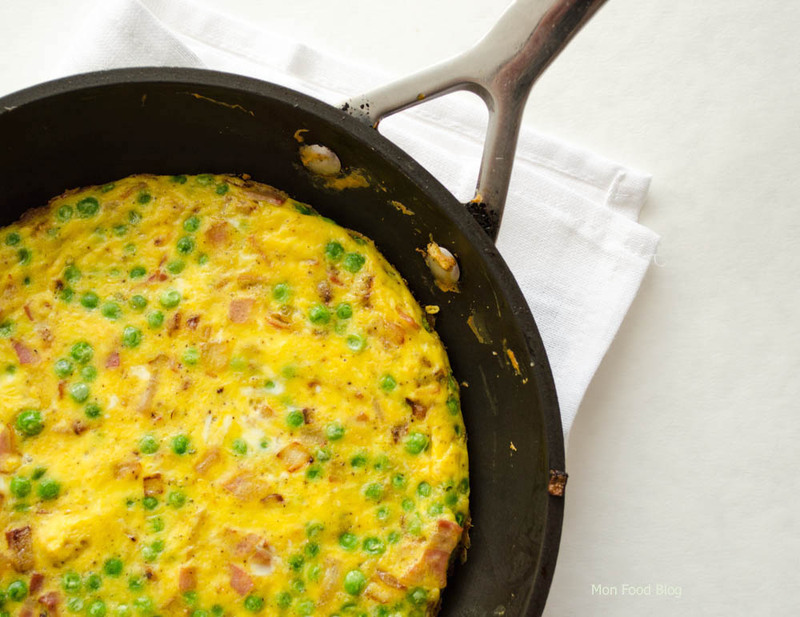 Add the egg mixture to the skillet and cook, leaving it undisturbed, for three minutes. Sprinkle with the provolone and continue to cook for another two minutes. 5. Transfer to the oven, and cook about 6 inches from the heat source, for one minute or less, just to set the top. 6. Let it cool slightly before eating.